Three more Abu Sayyaf group members were killed in Clarin town, Bohol on Saturday night, the military has confirmed. Their remains were delivered to Clarin Funeral Homes for identification. At about 9 p.m., soldiers of the 2nd Light Reaction Company encountered the group in Barangay Catuyok, and killed 3 of its members and recovered weapons. Captain Jojo Mascariñas, spokesperson of the 302nd brigade, said the three initially escaped the gunfight and their bodies were later found on a hill in Barangay Caboy. 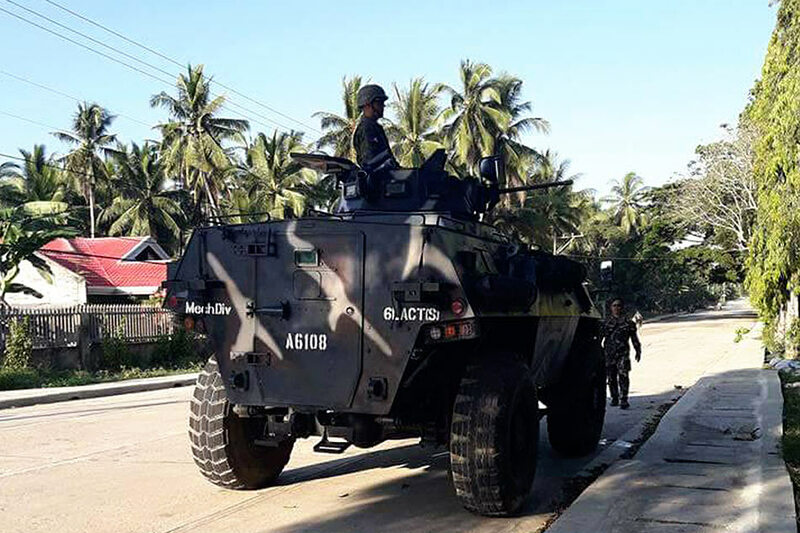 Authorities have advised residents to remain vigilant, as the military pursues Abu Sayyaf members still at large in Bohol. On Saturday afternoon, Joselito Melloria, an Abu Sayyaf sub-leader, was killed in a firefight with troops in Barangay Bacani in Clarin. Melloria, alias Abu Alih, was said to have guided the Abu Sayyaf in Inabanga town, Bohol for a known kidnap-for-ransom plot. Abducting foreign nationals and locals have been the group's main source of funding.